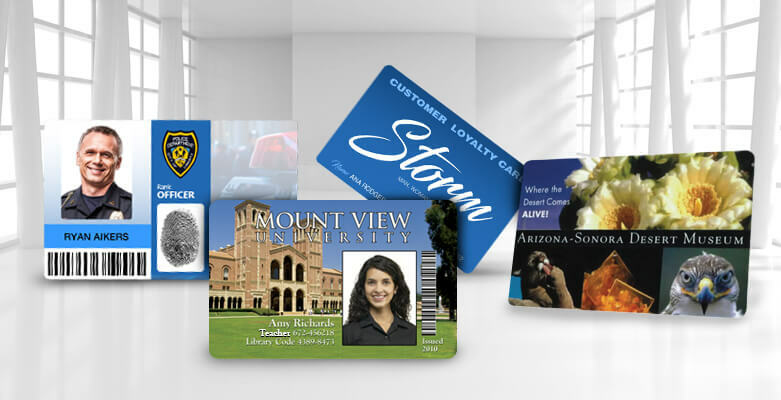 Businesses in every industry from retail to hospitality can use an ID card printer for a wide range of uses including employee and visitor IDs, customer membership and rewards cards, security passes, and more. Exciting New Fargo ID Card Printers Now Available! Comments Off on Exciting New Fargo ID Card Printers Now Available! Finding the right ID solution can be tough. To help speed up the search AlphaCard designed a variety of photo ID systems that meet the specific needs of a variety of industries including fire and police departments, and construction sites. We’ve created systems for each level of the industry, from started systems, right on up to systems including premium technology. Each are tailored to meet the needs of the specified industry. All systems include a professional ID card printer, ID card software for designing ID cards and storing records, a digital camera, and printing supplies and accessories. Firefighter ID badges can go a long way to making a community feel safer. Fire department ID card programs identify firefighters and emergency personnel helping them efficiently perform their duties. Finding the right ID solution can be tough. To help speed up the search AlphaCard designed a variety of photo ID systems that meet the specific needs of a variety of industries including fire and police departments, construction, and ski resorts. We’ve created systems for each level of the industry, from started systems, right on up to systems including premium technology. Each are tailored to meet the needs of the specified industry. All systems include a professional ID card printer, ID card software for designing ID cards and storing records, a digital camera, and printing supplies and accessories. A new employee badge system will soon be in place for the emergency responders of Steamboat Springs, Colorado. This new ID system will standardize badges issued to law enforcement, firefighters, paramedics, and non-government agencies that are potential responders in emergencies. The new ID program is being put in place to help organize and manage the chaos that often happens at emergency scenes, by creating greater accountability for the emergency responders on the scene. 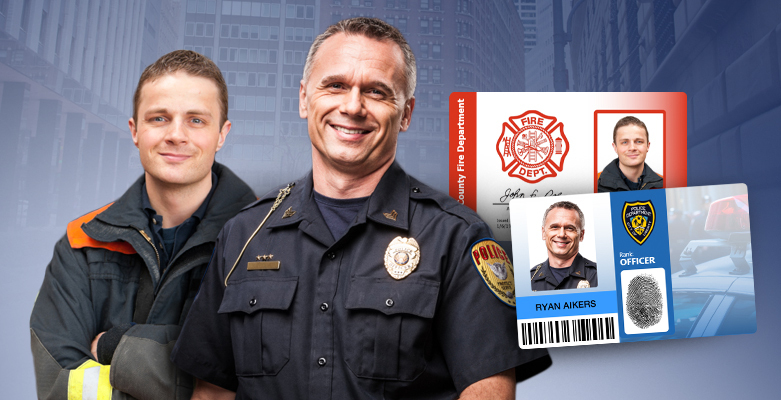 AlphaCard has released a new suite of ID systems geared towards the specific needs of fire departments wishing to print secure photo ID cards. Fire department ID cards play an important role in identifying firefighters and emergency personnel during critical situations, and can also perform a variety of functions, such as access control, around the workplace. AlphaCard's Fire ID Systems are available in three different versions: The Entry Fire ID System, Standard Fire ID System, and Premium Fire ID System.